Marks discusses his role as Prince Siegfried in Swan Lake. He presents his interpretation of a particular scene in Swan Lake where Prince Siegfried spots Odette. Marks speaks about the intuitiveness of the Prince's character, and wishes for more music in the Tchaikovsky score before the pas de deux. Marks is a renowned dancer, choreographer, teacher, coach, and arts advocate. Born in New York in 1937, he began his career as a modern dancer specializing in it at the High School of the Performing Arts and then at the Julliard School. He studied ballet at the Metropolitan Opera Ballet School and the School of American Ballet. Marks was promoted to principal at the Metropolitan Opera Ballet in 1958 and was principal at American Ballet Theatre (ABT) from 1961-1971. He and his wife and frequent partner, Toni Lander, resigned from ABT in 1971 to join the Royal Danish Ballet where he was the first American to dance as principal. In 1978 he became the artistic director and principal choreographer of the Ballet West in Salt Lake City. He was artistic director of the Boston Ballet for 12 years beginning in 1985. He left Boston in 1997 but in 2006 emerged from retirement to direct Orlando Ballet, after the sudden death of their director, Fernando Bujones. Marks currently lives in Florida, where he is at work on his autobiography. 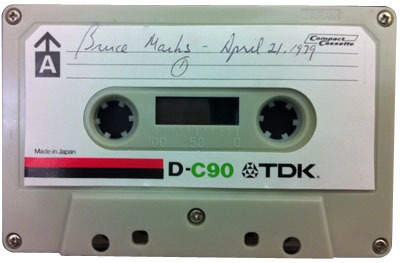 “Bruce Marks (published 1982),” Dance Dialogues: Interviews by Barbara Newman, 1979-Present, accessed April 25, 2019, http://dancedialogues.prattsils.org/items/show/34.